A semiconductor facility included a two-story building that was no longer needed, so the company planned to have it demolished. Based on the age and type of building, however, it was possible that PCB-contaminated building materials were present, particularly window caulk. 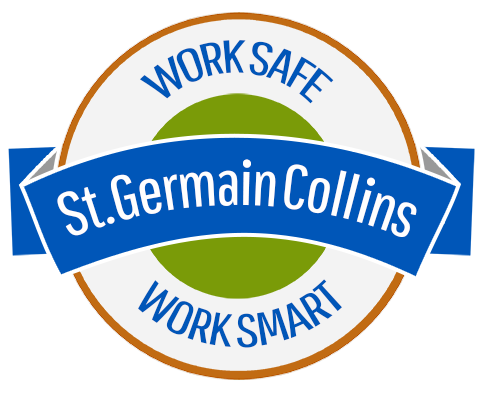 St.Germain Collins was tasked with characterizing the building materials and surrounding soil to determine if PCB contamination was present, and also to develop a remediation plan. These planned actions were presented to the Maine Department of Environmental Protection (MEDEP) under their Voluntary Response Action Program (VRAP). St.Germain Collins collected representative samples of caulk and indoor paint and found high levels of PCBs in the caulk. St.Germain Collins established a grid around the building exterior, and composite soil samples showed that certain areas around the building also had elevated levels of PCBs from the degradation of the caulk. A remedial work plan was submitted to and approved by the MEDEP. Shallow soil was first removed from the contaminated areas around the building. The next step was to selectively remove caulking with PCB levels above the applicable standard. This material was disposed of as hazardous waste. After confirmation sampling indicated PCBs in the soil and building were at low levels or not present, St.Germain Collins supervised the building demolition with the debris going to a standard landfill. This information was provided to the MEDEP and they subsequently issued a Certificate of Completion through the VRAP.